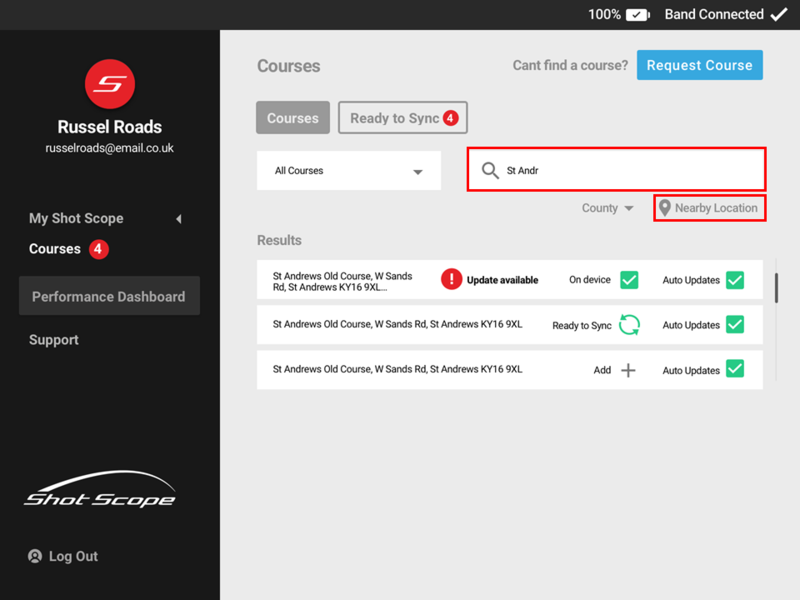 When you add a course it will automatically be selected for course updates. This means that if a course map gets updated (for example a bunker is added) you will be prompted to re-sync the course to the watch. If you don't wish to receive updates you can un-tick this box. 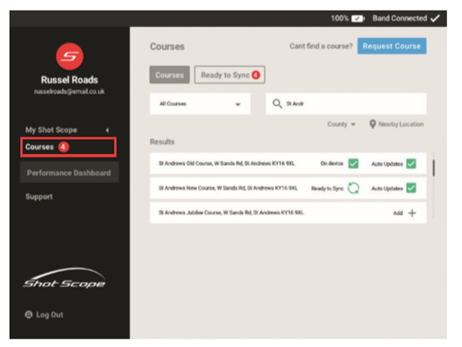 4) To subscribe for updates on your selected/chosen courses, simply click on the box for updates beside the course name. If the box changes to show a green tick then you have now successfully subscribed to updates for that course.